Patrick Reed won the 2018 Masters on Sunday, reigniting some past criticisms that have followed him through his career. Reed has been labeled a villain in golf because of a complicated past that has included allegations of cheating and stealing, two underage drinking arrests, and an abrasive personality. Reed's past controversies mostly took place in college, but some have been turned off by his temperament and confidence on and off the course since turning pro. 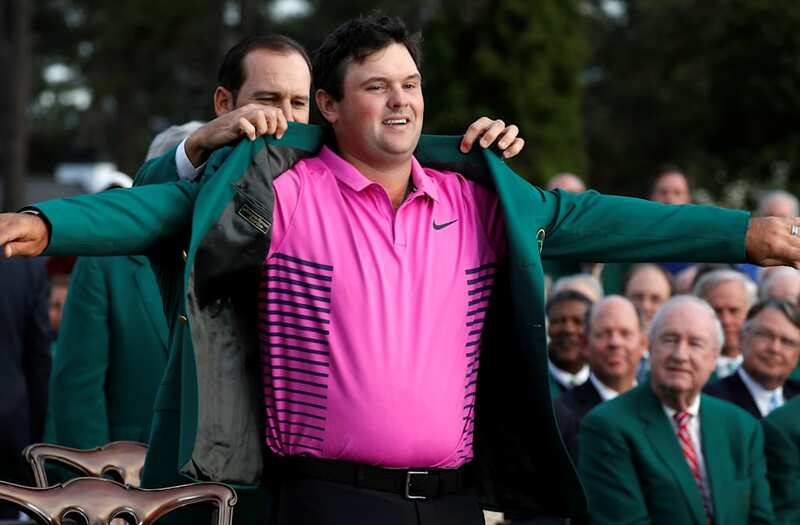 Patrick Reed won the 2018 Masters with a dominant first three rounds and a steady, gritty final day in which he held off surges from some of golf's biggest names. For all of Reed's brilliance at Augusta, he didn't seem to be the golf world's favorite champion, particularly after beating fan-favorites like Rory McIlroy, Jordan Spieth, and Rickie Fowler. Reed may be the closest thing golf has to a villain thanks to a complicated past that is somewhat clouded by mystery. His past began with some turmoil from a freshman season at University of Georgia when he was just 17. As documented by Shane Ryan in the book "Slaying the Tiger" and a profile of Reed by ESPN's Ian O'Connor, Reed was immensely unpopular during his one season at Georgia. Some of the details are sparse, but Reed was said to have been abrasive while at Georgia, often acting arrogant and overly competitive with teammates. He eventually ended up practicing and playing apart from the team. Additionally, Reed was alleged to have cheated on the course and been caught by his teammates. He was also suspected by teammates to have stolen equipment and cash from the locker room, though it was never proven. According to Ryan, the reputation still holds, with some golfers on the PGA Tour, saying, "Hide your things, Patrick's here" when he enters the locker room. Reed was also twice arrested for underage drinking, the latter of which, according to Ryan, seemed to be the straw that broke the camel's back at Georgia. Reed transferred after one year. He then went to Augusta State, where similar personality problems followed him. He blossomed on the course, however, helping the school win two national championships. According to Ryan, Reed was suspended to start his sophomore season, with some saying it was for cheating on the course. According to Ryan, before a national title match, Reed's Augusta State teammates approached a player from Georgia Tech and told him, "We want to win the national title, but we hope you kick the s--- out of Patrick Reed." Since going pro, Reed's personality has still seemed to rub some the wrong way. In 2014, he boasted that he was one of the top-five golfers in the world, a boast many felt was made too early. He has sometimes ignored reporters and refused to answer questions after bad rounds. He was once caught on the course chastising himself for a bad hole, saying: "Nice f------ three-putt, you f------ f-----. Go f------ hang yourself." During the 2018 season, during a rules dispute with an official over a drop, Reed was caught on film saying (half-jokingly), "I guess my name needs to be Jordan Spieth, guys." He later requested another official review the matter saying he needed an "unbiased source." Also shrouding the mystery of Reed is reportedly estranged from his family. According to Ryan, Reed did not invite his parents to his wedding, and some social media posts from his family seem to hint at a rift. Reed has said he believes the media paints him as a villain and seems to be aware of his reputation in the golf world. After winning the Masters on Sunday, Reed was asked about getting a tepid round of applause from the crowd vs. the roar that McIlroy got. Reed said it only fueled his fire. "That's another thing that just kind of played into my hand. Not only did it fuel my fire a little bit, but also, it just takes the pressure off of me and adds it back to him ... You had a lot of the guys picking him to win over me, and it's one of those things that the more chatter you hear in your ear about expectations and everything, the harder it is to play golf."